With Apple's new iPhone 3G S hitting store shelves in Europe overnight, the device was thrown within minutes onto the operating table and gutted, revealing a Samsung-branded system-on-a-chip (SoC) featuring a multi-format codec with untapped HD video playback and capture capabilities. The Orange wireless boutique in Paris, France held a midnight launch of the new Apple handset, allowing the folks at Rapid Repair to be amongst the first in the world to purchase the device at roughly 6:30 p.m. Thursday Eastern time. 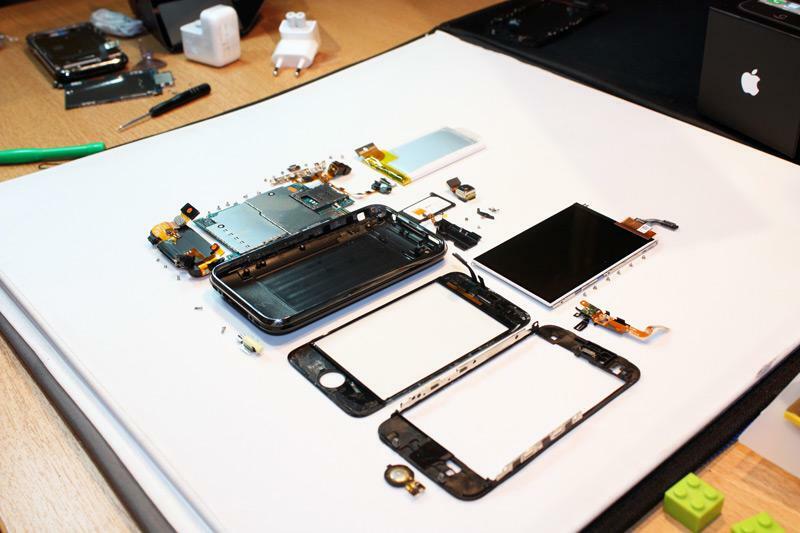 Wasting no time, the solutions provider took the iPhone to one of the shop's back rooms, busted out their tool kit, and began tearing the device down with the intent of comparing its internals to the iPhone 3G and identifying some of its more prominent components. The biggest news to come out of the tear-down thus far is a positive identification of the handset's primary SoC, said to be the Samsung S5PC100, a chip that —true to previous rumors —is based on ARM's Cortex A8 reference design running at 600MHz. A brief check of Samsung's website, however, reveals it can run even faster. "The S5PC100 enables the integration of various functionalities, such as, wireless communication, personal navigation, camera, portable gaming, portable music/video player, mobile TV and PDA into one device," the South Korea-based electronic maker says in a PDF published to its website. "The S5PC100 adopts a 32-bit ARM Cortex A8 RISC microprocessor and a 64/32-bit internal bus architecture, and operates up to 833MHz." Apple appears to have chosen run the chip, which is rebranded with the following markings, below its maximum clock speed for optimal power consumption. But the additional 233MHz aren't the only capabilities of the S5PC100 that Apple has chosen to forgo in the iPhone 3G S.
An Apple iPhone 3G S torn down and laid out to dry | Source: Rapid Repair. Samsung also notes that its chip sports a high definition multi format codec enabling higher resolution multimedia functions at low power consumption. Specifically, it states that the S5PC100 "features a built-in, 720p multi format codec (MFC) video Engine which ensures smooth 30fps video encoding and playblack at low power consumption, and supports three types of TV out interface (NTSC/PAL/HDMI)." 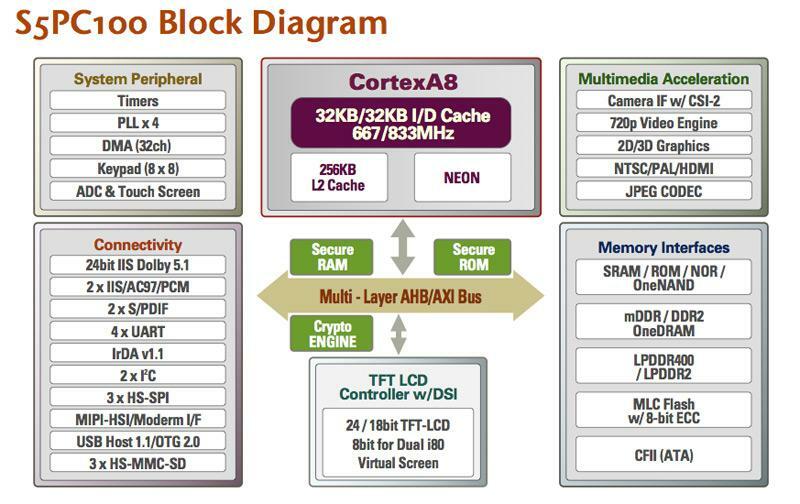 A block diagram of the iPhone 3G S's primary SoC | Source: Samsung. 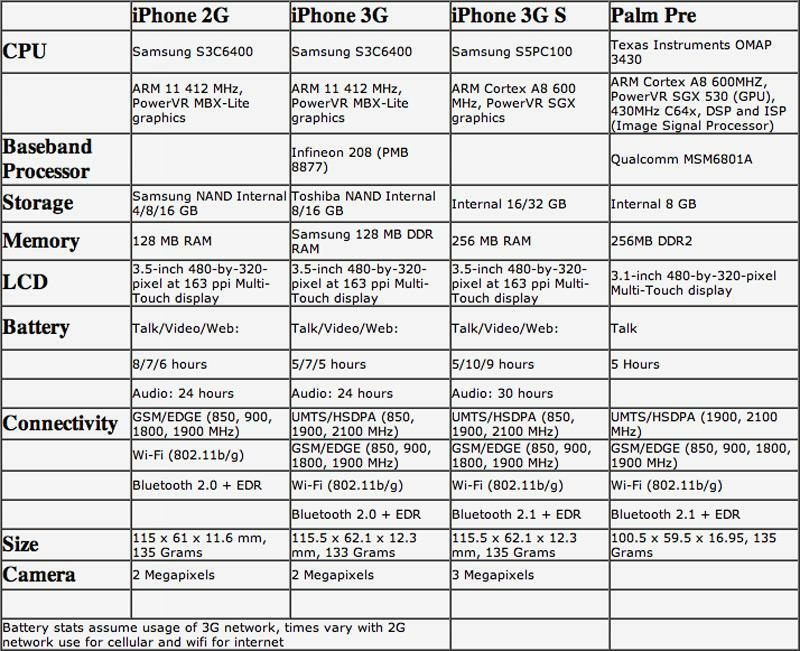 An incomplete component comparison of all three iPhone models and the Palm Pre | Source: Rapid Repair. Apple has thus far decided not to take advantage of these HD capabilities for video recording, as the iPhone 3G S video camera will only capture clips in VGA-quality. Early reviews of handset were mixed in their assessment of the resulting video quality, with some saying it pales in comparison to that from the popular $229 Flip pocket camcorder, while others called it "quiet decent" and said the quality was "impressively smooth and natural." 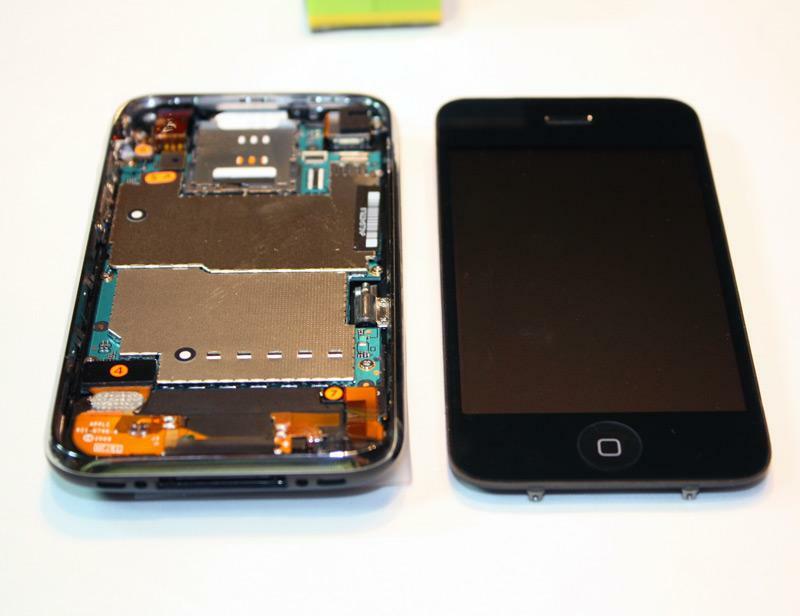 An iPhone 3G S with its top case removed | Source: Rapid Repair. 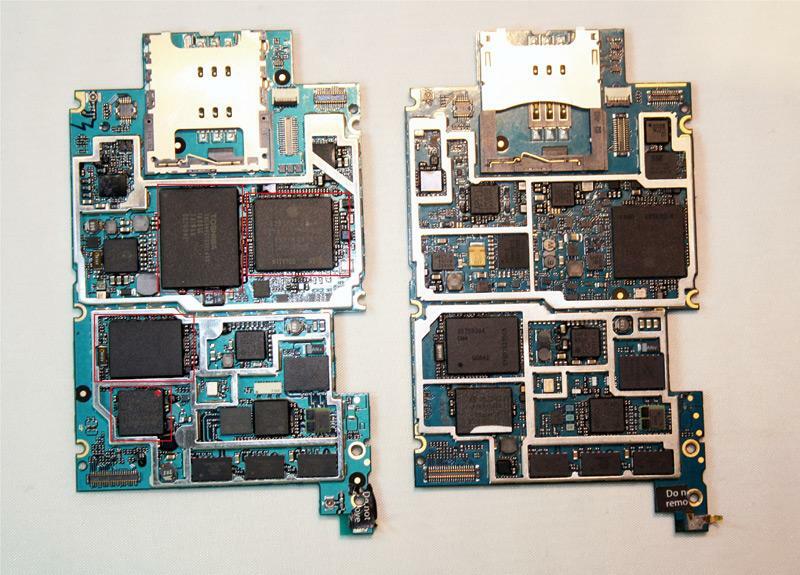 The iPhone 3G S logic board (left) compared to the iPhone 3G logic board (right) | Source: Rapid Repair. 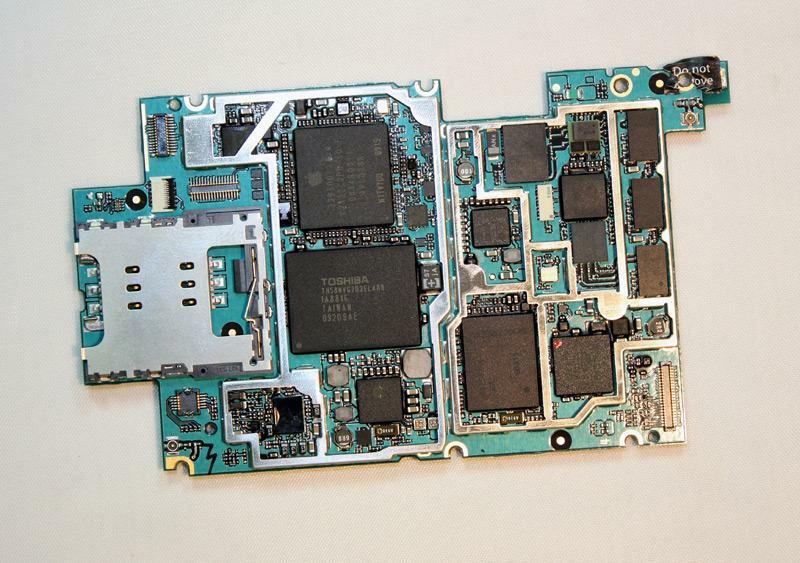 A close-up of the iPhone 3G S logic board | Source: Rapid Repair. Additional discoveries are likely to be made throughout the day and upcoming weekend, especially given that iFixit also plans to tear-down an iPhone 3G S shortly.